Security requirements vary hugely in the commercial sector. Roller shutters are suitable for most applications, but the key is choosing the most appropriate product. As with many factors in business, physical security is about weighing up your priorities. After all, every business would choose the highest level of security if there were no compromises to make. Increasing security levels can mean spending more money, or restrictions on how it is fitted (and therefore its appearance). You may be more willing to compromise on some features than others. Perhaps your shop front roller shutters must be transparent, or maybe you own a high risk property where security comes first, no matter what. Budget – The most secure shutters, particularly LPCB security rated products, tend to be more expensive. This is due to cost of the raw materials and the testing they have undergone. Aesthetics – The size and shape of the slats, box and guide channels can be affected by a shutter’s security level. Fit type – Particularly if space is restricted around the shutter, and whether you have a preference of external or internal security shutters. Other factors have a lesser impact on security levels. 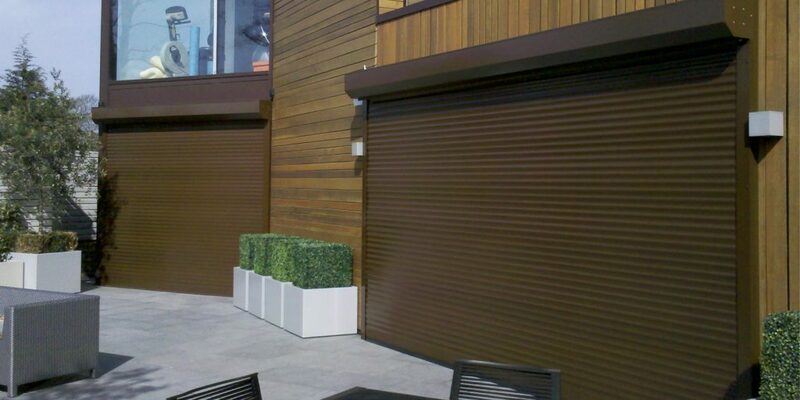 If you would like your security shutters powder coated in a custom colour, this is possible across all security levels. Roché also offer a wide choice of security shutters with and without vision, for different opening sizes, and with various operation/control options. Try our product finder for an indication of whether your requirements are realistic. 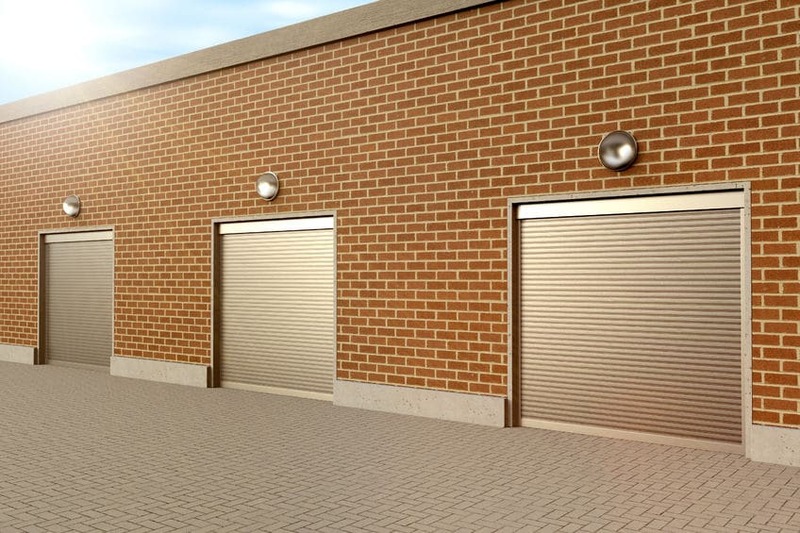 Security shutters are utilised on everything from light commercial to industrial buildings including offices, shops, banks, factories, warehouses and loading bays. Each business is different, and you will understand your risk level better than anyone. The likelihood of your business being targeted by criminals may depend on its location, what other security measures you have in place and the perceived value of the contents. Medium security shop front roller shutters may be fine for a newsagent, but inferior for a high-end jeweller. In some cases buildings aren’t particularly at risk but owners have a responsibility to protect students, employees, or confidential information, such as in the case of schools or Government buildings. 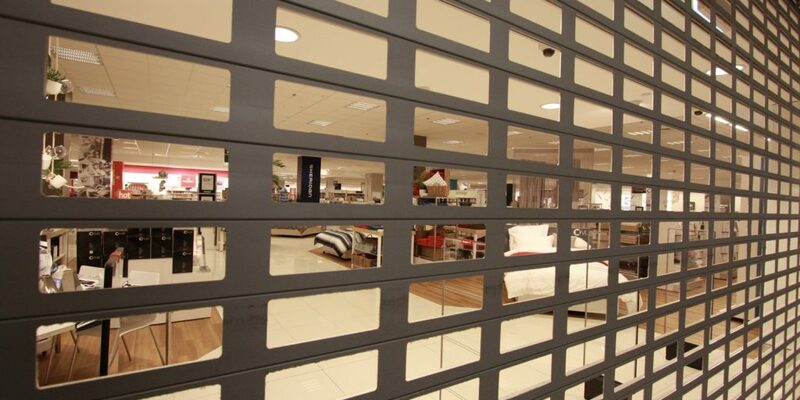 Roché’s security shutters are categorised by whether they offer medium, high or very high levels of protection. All provide quality physical protection and act as an effective deterrent. The construction of the slats affects their strength, and therefore whether they are rated medium or high. Very high security shutters are those which have passed external testing. External certification bodies help consumers differentiate the most secure in the marketplace. When it comes to security levels, Secured by Design and the Loss Prevention Certification Board are the two to look out for. Secured by Design is a Police-developed scheme for ‘designing out crime’. The Loss Prevention Certification Board (LPCB) actually rate products depending on how they have performed in simulated burglary tests. Testing is a lengthy and expensive process, therefore many suppliers will only offer Secured by Design products. Roché’s Elite security shutters are both Secured by Design and rated by the LPCB (according to the LPS 1175 specification). They are rated from SR1 to SR4, with our i100 Elite SR4 being one of the most secure roller shutters in the marketplace.